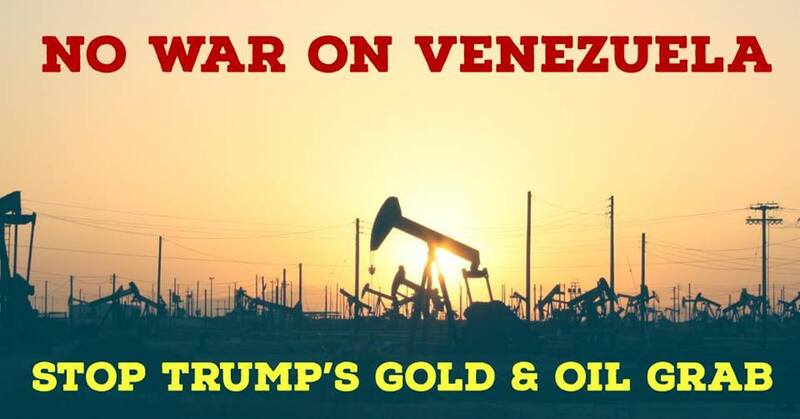 Join Tariq Ali & other spec ial guests at this protest against Trump’s threats of war on Venezuela – come & loudly say #NoBloodForOil ! 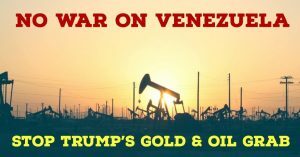 Called by Venezuela Solidarity Campaign – Supported by Stop the War Coalition. This is part of an international series of events against war on Venezuela. VSC is calling this protest at the Bank of England as the Bank is holding $1.3 billion worth of Venezuelan gold (31 tonnes) and is refusing to release it to Venezuela.